Time for a new round up. Just a slight change however, until we get things fully sorted out for you all. James is working on a different project so I'll be filling in, just for a short while. As we run into the weekend after Canada day, folks are recovering from their partying. That said, folks in the US have Independence Day on July 4th to look forward to. So, let's get on with a look at some cool stuff for your BlackBerry this time around. Unibrowse: Free up a couple of icon slots on your homescreen by replacing all your browser icons with a single multi-browser icon. Supports BlackBerry browser, BOLT, and Opera Mini. Please contact support if you would like support added for another browser. 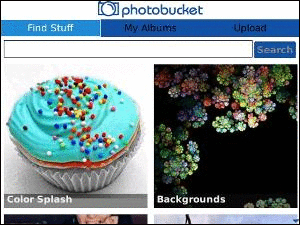 Photobucket Mobile: Upload pictures from your phone directly to your Photobucket albums. Looking for entertainment during moments of downtime? Check out our Find Stuff categories or search our billions of photos. Easily download images to your device for use as wallpapers, contact IDs and more. View your Photobucket albums and show off your collection. JConverter: An advanced convertion tool which can convert a multitude of weights, measurements, distances and much more. Pretty with a fancy UI? Not really but it gets the job done quickly. The app is also totally private. Your personal information will only be transmitted if you choose to be contacted regarding a loan. 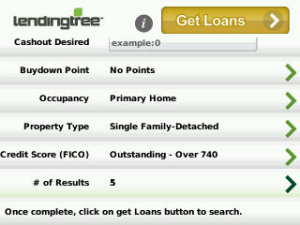 LendingTree Mortgage Rate Finder is available as a free download from BlackBerry App World. ePrayer Team - The application is quite simple, as it enables you to learn who the ePrayerTeam is, launch their site support/donate page, as well as send an email off to join the team or ask for prayer. The request page enables you to use their quick email form to send your name, email address, city and prayer need. Once sent, all you have to do is wait for the support to come flooding in. The response is quite quick; I received my first response within 6 minutes! You can find the ePrayerTeam application from the CrackBerry App Store for $0.99. All proceeds go towards site maintenance and their mission. Browse: You can browse the directory structures on all of your Carbonite-backed-up computers. View: Bring up PDFs, photos, music and video files, Excel, Powerpoint, Word documents and other text files can be opened and viewed right on your BlackBerry. Share: You can forward any file via email, right from your phone. 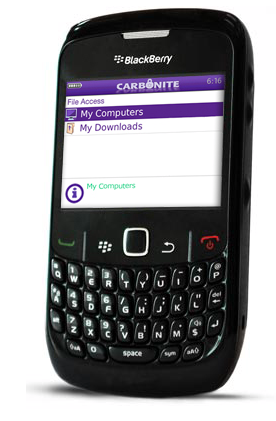 The app is free to download from carbonite.com/blackberry, and Carbonite accounts are available for both PC and Mac starting at $54.95/year. Spitfire RSS and blog reader -If you are looking for a no-nonsense good looking feed reader, Spitfire is the app for you. The efficient UI allows you to consume as much content as possible in the shortest amount of time. 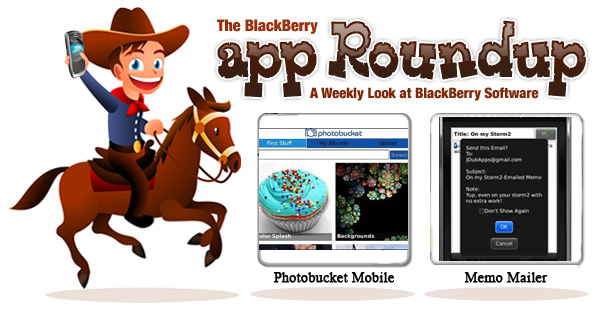 Enjoy FeedBurner RSS feeds and WordPress blogs right from your BlackBerry device. From the application home screen you can see all of your blogs, the last time that they were updated, and for pushpress enabled blogs you can see the image from the most recent post. Download it here for $0.99. Receipt Organizer - Now, organize all your business & personal receipts using this receipts organizer, This app supports multiple accounts with simple user interface for receipt management. Customize the categories & all fields. 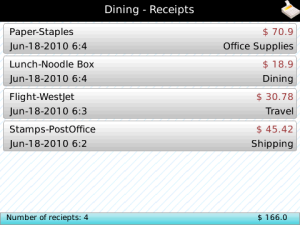 Track the spending with detailed graphs which show receipt totals by category, currency. Capture the receipt photos using your camera or by adding from the photo library. Export the files through Email & Backup file. Restore the data into the application using the backup file.